If you are looking for a good, standard, meat and potatoes action-thriller to put into your Netflix queue, Triple Frontier is a safe—perhaps too safe—bet. 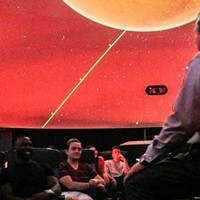 After a one-week theatrical release, the movie is available for streaming. The latest debut offering from the streaming giant sends the likes of Ben Affleck, Oscar Isaac, Garrett Hedlund, Pedro Pascal and Charlie Hunnam into the jungle to rob a South American cartel drug lord's house of many millions of dollars. Former Special Forces Operative Santiago 'Pope' Garcia (Oscar Isaac) has become bored to death as a military advisor to south of the border police making drug busts. During a particularly bloody mission, he overhears a captured dealer divulging the location of a drug lord's personal home where he keeps all of his money. Pope gets to thinking, and then calls upon some of his former Special Ops buds to pay the kingpin a house call and relieve him of some of his dirty money. The catch being that this mission will be off the books and totally illegal. After years of military service and nothing to show for it, Pope and his buddies Redfly (Affleck), Ironhead (Hunnam), Ben (Hedlund) and Catfish (Pascal) are looking for a little payback. Tom "Redfly" Davis is the most reluctant at first, but a divorce and child support payments prompt him to flip and go all in. The first stage of the mission has the men attempting what is supposed to be a quick, easy theft of the money while most of the family is off to church and the drug lord is left behind. This gives director J.C. Chandor (A Most Violent Year, All is Lost) an opportunity to present an effectively chilling heist inside a jungle mansion that, of course, doesn't go exactly to plan. The next stage has the boys getting into some skirmishes in the jungle and a small village and, again, things aren't going as easy as Pope proposed in his initial plans. The third stage has the men moving hundreds of pounds of money towards and eventually through the Andes, first on mules and then on their backs, as they try their darndest to salvage the mission's booty. All three stages are well done, if absent of many surprises. Triple Frontier doesn't rack up points for originality, but it does score with the casting, with all five main leads making solid contributions. They are all good enough to distract you from the fact that the movie itself is almost completely void of originality. And that's OK. Sometimes a good actioner with a great cast and some decent firefights is all you need to quench your action-thriller thirst, and in that sense, Triple Frontier hits the marks. Also, it's fun to watch this movie pretending that Affleck's character is actually a retired Batman who has come upon hard financial times and is forced to sell condos for a living. I admit that this notion was playing in my head, especially in the moments where Redfly (That could be a bat's nickname!) gets all dark and brooding. Of the performances, Isaac's is the most memorable, no big surprise considering he's easily the best actor in the bunch. Pascal is good as the down-on-his-luck pilot who needs some scratch to offset the legal cost of his latest blunder. Hedlund does some decent comic relief as the angriest and most impatient of the group. The movie does boast one sequence, a helicopter flight over mountains in danger of crashing due the large quantity of cash dangling from its bottom, that is a truly original moment. 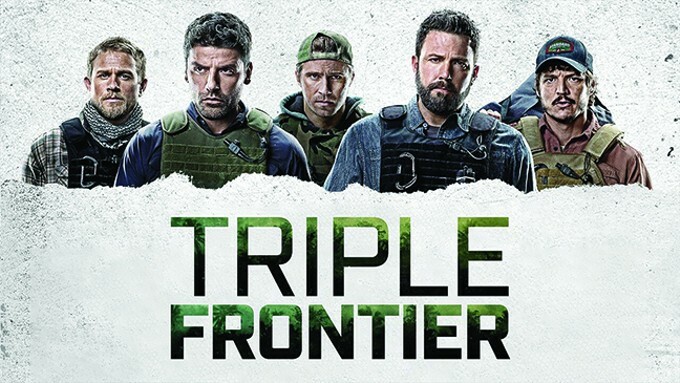 Otherwise, Triple Frontier is the sort of film the likes of Stallone, Willis and Schwarzenegger used to turn out. While that's not high praise, it's hardly a condemnation. There's a time and a place for a good junk food movie, and Netflix knows it.